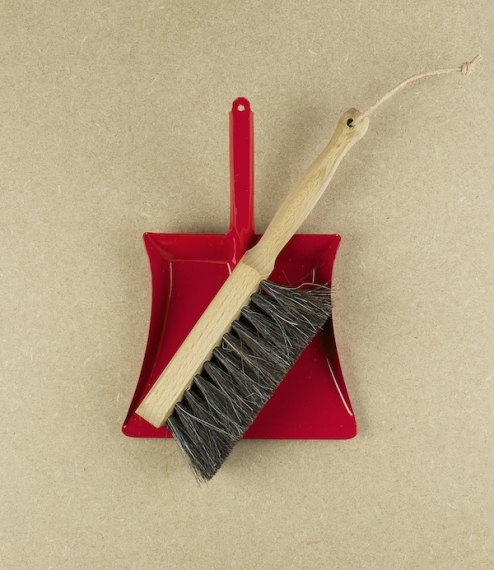 Children's red painted steel dustpan with a brush made from untreated beechwood and horsehair. 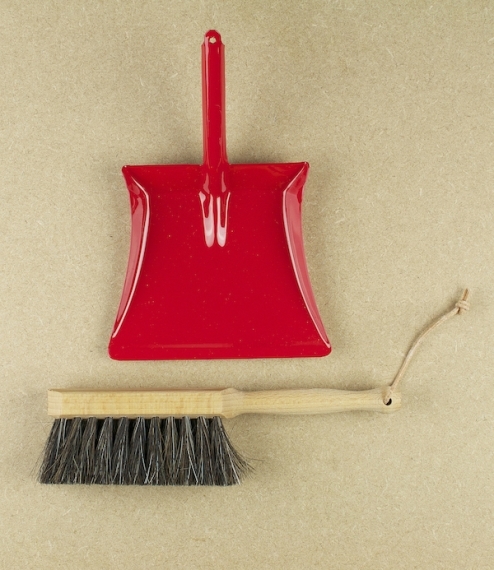 The brush measures 22cm in length, the dustpan 19.5cm by 13.5cm. German made.